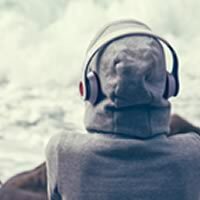 Voice Collective is a UK-wide, London-based project set up to support children and young people who hear voices, see visions or have other unusual sensory experiences. We work in partnership with young people and youth organisations to improve the quality of information, advice and support available out there, and our work is funded by BBC Children in Need and the Esmée Fairbairn Foundation, amongst others. If you would like to speak to someone from Voice Collective, just e-mail us at info@voicecollective.co.uk, or call 020 7911 0822. There are two strands to our service – work with children, young people & families, and work with professionals and organisations. We work with: CAMHS, Early Intervention in Psychosis, Schools, Social Services, Voluntary Sector Organisations & Charities, Arts Groups and many more. Around 8% of young people hear, see or sense things other people don’t. Still, movies and news reports can make it all sound much more weird and scary than it really is. The fear of being judged or labelled can be really hard to deal with, at school and at home. Because of this, meeting people who understand what you’re doing through and listen with respect is very important. During our pilot project, we found that children and young people often felt isolated, ‘crazy’ and overwhelmed – but struggled to access supportive services. Our peer support group, facilitated by someone with personal experience of living with voices, gave these young people a safe space to be accepted for who they are. Through working with a range of youth services, we found that relatively little support from us (in the form of training, coaching or awareness raising) can produce dramatic results. We specialise in breaking down the stigma and anxiety surrounding voice-hearing, helping workers use their existing skills to support young people. With CAMHS teams and agencies already working with young people who hear voices, we found that offering training led by someone with personal and professional experience, is key. Feedback from trainees is that this has helped them develop greater understanding of the experience and increase the range of tools they have to work creatively with young people.